As I mentioned in an article about trading on Forex, it is essential to have on hand is convenient for You payment system. However, the world of investing does not work with only one aggregator, and often each project has multiple electronic payment systems (EPS) that allow you to make deposits or withdraw profits. Of course, if we enumerate and consider all EPS that I have not enough time on writing, and You reading it. Therefore, I will now briefly tell You about the most popular payment systems and the peculiarities of working with them. Perhaps we should start with the well-known EPS WebMoney. "WebMoney" – is the most popular payment aggregator, which is one of the first in the CIS (founded in 1998). He serves as a unique tool for making online payments and, at the same time, allows you to easily withdraw funds. The EPS allows to carry out calculations in the following currencies: RUB, USD, UAH, EUR, Bitcoin, Kazakh tenge, gold and the Belarusian ruble. Here You can exchange one currency for another, withdraw funds to a Bank account, apply for a loan or to lend. Overall, it is the most reliable and universal aggregator. A small disadvantage is the excessive protection that, at times, just crazy. However, in my experience, I would say that verification is much easier than in some other EPS. "PerfectMoney" – originally Panamanian, EPS, established in 2008. Has three main currencies: USD, EUR and gold. To Deposit money into your account through the e-Voucher, payment terminals, Bank cards or exchange offices-partners. Working with this EPS, you should know that the commission on internal transfers is 0.5%, while on purchase and paying from 0.5% to 1.99% (for non-verified users). The verification process is a little complicated for those who live in a rented apartment, since one of the requirements is the receipt on payment of utilities for the last month with Your name. It is also worth considering that communication support is exclusively in English. However, this payment system is almost always present in investment projects, as it is simple and convenient. Withdrawals can be conducted on other EPS, through the internal exchange, and Bank payments. 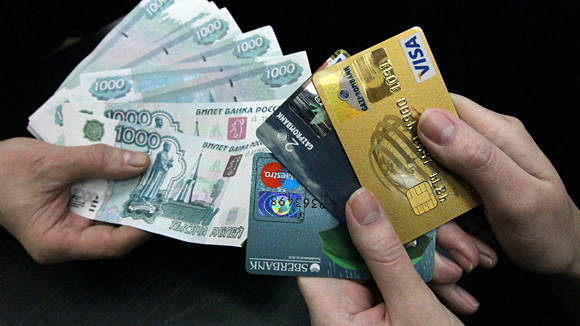 "Payeer" is one of the most popular systems in the CIS. Characterized by its versatility and prevalence in investment projects. Working with her is easy and pleasant. However, the joy slightly overshadows the amount of commission on payments. He is 0,95% of the amount transferred. Withdrawal of funds is possible as the Bank account and the card's own output, which allows you to withdraw money anywhere in the world. Another worth noting is the fact that verification in the system is not a prerequisite. "QIWI" – created in 2008, Epps, was originally used for calculations in the Internet. However, gaining a lot of fans in QIWI was added many features that make it a versatile aggregator to receive payments, internal transfers, recharges your mobile phone and withdraw money. To withdraw money from this EPS is possible by Bank transfer and credit card. There is also a card of its own issue, which give the possibility to make translations with a minimum Commission. "ADVCash" – young enough aggregator, but despite his young age, he managed to win the hearts of many users. This EPS is ideal to withdraw money earned online. Her payment card cost only 4.99$, will allow You to withdraw cash in 200 countries, including in Russia and Ukraine. And low Commission for the transfer, this makes EPS one of the best for investment. "Yandex.Money" payment service of the company Yandex, it is possible to use everywhere, except commercial activities. That is why, it is not always possible to observe in investment funds. However, the withdrawal of funds to the Bank account here comes the most convenient way among all EPS. "Bitcoin" is the young electronic payment system that works only with cryptocurrency. Despite its short life, this EPS is the most protected from hacking and surveillance of Your funds by bodies of state control. Therefore, this aggregator is the best way to circumvent taxation in all countries of the world. It should be noted that due to the fluctuating exchange rate of Bitcoin, this EPS is good and the savings Bank for savings. "OKPay" payment system that combines multiple ways of accepting payments. Here are available Bank transfers, mobile payments and e-cash. Internal transfers have a Commission of 0.5%, the check cashing, which is available worldwide, only 2.5% (one of the lowest figures for EPS), the withdrawal to Bank account for only 1% of the amount. The unique integration of an electronic wallet system quick Bank transfers and a private debit card, OKPay, make the most convenient medium of exchange and withdrawals. Despite the versatility of many of those EPS, there are always difficulties with their exchange. Often, a situation arises in which You need to exchange money from one payment system to another, but to do it within the EPS impossible. But, it's not the end of the world. You can always use the exchange offices in the Internet which will help You in resolving this issue. But beware, often the network a lot of scams that offer You to exchange money with a minimum percentage, and sometimes even without it. Don't go on about them, use only checked exchange offices. I can only recommend the service "BestChange", it is not a currency exchange, and serves as the monitoring of all exchangers in the network. There You will find reviews on all the exchange points to exchange currency at the best exchange rate in different directions, and directly withdraw funds to a Bank card or account. Overall, all this information I wanted to convey about the electronic payment systems. My only comment is that in the process of my work often have to deal with all the new EPS. So if there's anything decent among them, I will complement this article.